New Location for POA January Meeting- January 26, 2015 at 7:00 P.M.
Oakwick Forest Estates has a total population of 1,049. The weather in Oakwick Forest Estates ranges from 62° F in January to an average high of 94° F in July and receives 48 inches of precipitation each year. 75% of people living in Oakwick Forest Estates have white collar jobs and 25 % have blue collar jobs.The median travel time to work is 37 minutes with most residents (97%) driving to work. Interestingly, 2% work from home. 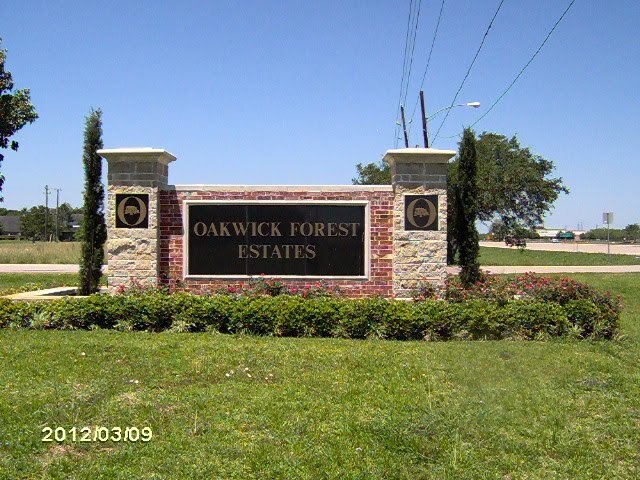 There are 304 households in Oakwick Forest Estates with half of the residents living in their home for 2 years or more. In fact, 17% of the homeowners have been here for over five years.